Organic producers must follow standards laid out by government bodies. These standards cover soil quality, water quality, pest control, livestock practices, and additives to products. 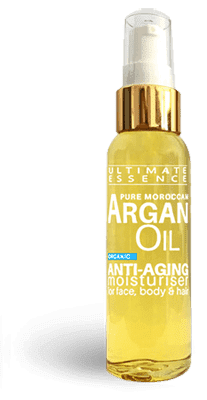 How do you get Argan Oil Certified as Organic? It is only possible to label a product legally, as organic, if it has been certified by an independent body – such as Ecocert or the USDA. However, certification is an expensive process. Costs are typically in the tens of thousands of pounds and are unaffordable by small cooperatives. 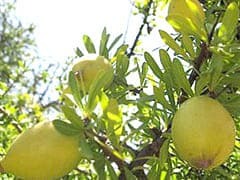 Fortunately, foreign NGOs and Moroccan government departments have been working to provide funds to give some of the many regions where the Argan trees are grown internationally recognised Ecocert certification. Ecocert is a world-leading body that ensures high standards are met for organic production. Argan Oil is most commonly issued under the Ecocert certificate. Companies selling Argan Oil are able to “convert” their Ecocert certificate to a more recognised organic certificate for their local markets. In the case of the UK the “Soil Association” logo can be displayed on packaging by paying an approval fee to verify your Ecocert certificate. So do not worry if you see organic certifications other than Ecocert on your Argan Oil. Any body conducting business that wants its products to be certified can be awarded certification for a limited period. During this period the certifying body carries out monitoring throughout the year. 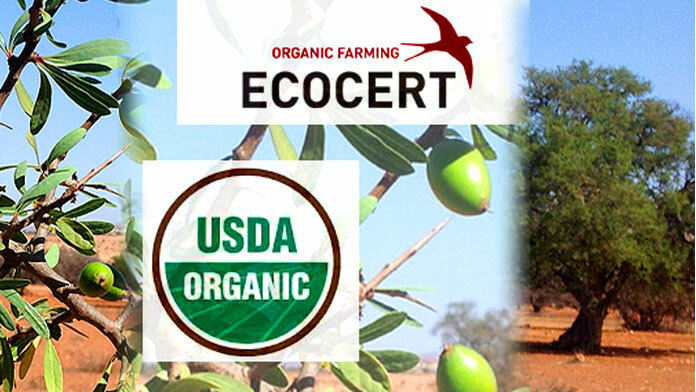 Ecocert conduct on-site inspections that involve the entire Argan Oil production system. 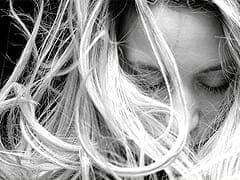 The production chain from the land the Argan trees grow on, the raw Argan nut kernels, production processes and even packaging, storage and distribution. Ecocert, like most organic certification bodies, will also carry out random checks with samples taken for analysis. Only if all criteria have been met will they then issue a certificate. The USDA verifies that a farm or handling facility anywhere in the world complies with USDA organic regulations. USDA certification allows you to sell and label a product as being organic. A producer may be certified by a private, foreign, or US State entity that has been accredited by the USDA. It is these certifying agents who guarantee that USDA organic products meet the required standards. USDA require that a full description of the business to be certified with a history of chemicals applied to land for the past three years. In addition full details of the products to be grown and how they are planned to be grown. Unfortunately in recent years the USDA as been influenced by big GMO corporations such as Montsanto. The USDA currently allow GMO modified foods to be labelled as natural. So it is not clear if USDA certification be trusted as a guarantee of a healthy and natural product? 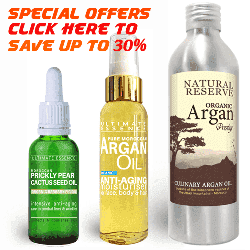 How to Buy Certified Organic Argan Oil? All of our Argan Oil is pure and organically produced. You can buy Ecovert and USDA certified oil from this page. Just use the “order now” button here. 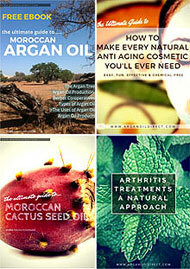 You can view all of organic Culinary and Cosmetic Argan Oil and Moroccan Prickly Pear Cactus Seed Oils on our web store. Our prices include Free Delivery Worldwide. We also back our products with a money back quality guarantee.